Connoisseurs of progressive rock have a debut disc from an amazing player to look forward to in April. 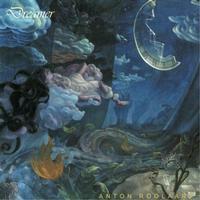 Netherland’s born Anton Roolaart’s debut disc, Dreamer, should be occupying space on your iPod or in your CD tray for many months to come. 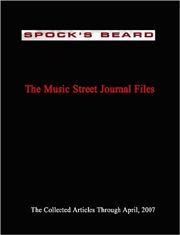 The disc is a delight for fans of emotive and original electric guitar voicing. From gentle, complimentary notes on his vocals to explosive yet exacting bursts of steel-wound string magic, Anton demonstrates his mastery of the frets. The album’s complex guitar textures and arrangements display this New Jersey musician’s deft capabilities with the genre he has a passion for. Anton is no mere musician putting out a vanity project either. With his computer expertise, he built and launched his own Internet radio station, progrockradio.com. If you are big enough fan of a music genre to do that, you are obviously going to have some major influences in your own music. I am not a big fan of the necessary evil of making comparisons to other artists, especially when it is a new comer’s first release, so I will attempt to only make these when necessary and try not to draw away from the fact he is a unique musician with plenty of utterly original concepts and arrangements for you to find when you listen to this album. The song kicks off with multilayered instruments in a swirling, heralding open to the album. One of the first things apparent upon listening to the arrangement is Anton is extraordinary on the guitar. Passionate licks up and down and the fretboard offset nicely against and accentuate his vocal arrangements. The song picks up from a slower to mid tempo pace and back down again throughout. The mix between Anton’s guitar and the keyboards of both synth and organ varieties is also quite pleasing here. The opening vocals on this number remind me Roger Waters on the latter half of The Wall in their style. This slower, moody piece builds off the acoustic guitar opening with some fantastically fretted electric runs and vintage analog keyboard runs which manage to sound modern and not dated. Roolaart pulls off a delectable and delicate wah pedal solo at the mid point and flamenco inspired acoustic runs closer to the end. His fandom of and influence by Pink Floyd shows through on this number not only in the vocals but in the keys and moody atmospherics surrounding the instrumental sections. The title piece opens with ambient wind sounds and a moody acoustic guitar followed by “phone machine” sounding voices and a woman’s laughter in the background. You can feel the emotion behind his long, lingering guitar notes as the song builds. Roolaart’s vocals are stronger here as he sings more forcefully in sections and into higher registers in others. The analog synth solo is a Moog/Arp/Mellotron fanatics fantasy on disc, again making the instrument sound modern and not dated. No it is not a cover of the Bowie song, though Roolaart does count the Thin White Duke amongst his influences which you can hear on this similarly named number. Clocking in as the shortest number on the disc, the song features great interplay between guitar and piano in the front half and between the organ and palm-muted chords in the latter. The Roger Water’s influence is also apparent in his vocal delivery in places. An ambient orchestra setting on the synthesizer sets a moody tone as this number begins. The lyrics tell a story of a pair of youths skipping school which, from his delivery, sound as if might be a true story and very likely the other person mentioned is a girl. This is the crunchiest the guitars have sounded yet on the disc. Crunchy, yet subtle, which is no mean feat. Floydian Wish You Were Here-era keys play out the number’s second solo. An amplified acoustic sets the scene but is quickly joined by some fantastic early-Yes influenced keys and percussion. What is enjoyable about listening to this disc overall is the wide variety of orchestrations Anton has included in each composition. Shifting and changing quickly, but never competing against each other, the multiple sections throughout this number are a great example of this. New Agey keys open this next number and are quickly accompanied by bass and percussion. The spacey synth makes up the main theme of the piece at first which shifts to a lead guitar offsetting Anton’s vocals. A phone conversation section in the bridge is under scored by a moody, dark Moog solo. The song shifts back to the spacey keys with some fantastic six-string riffing from Anton to bookend the number. Melodramatic piano with atmospheric keys beneath open this piece and are the main driver beneath the number. Anton has saved some of his most electrifying riffing for this number with a solo that is very different from the overall number yet does not sound out of place.